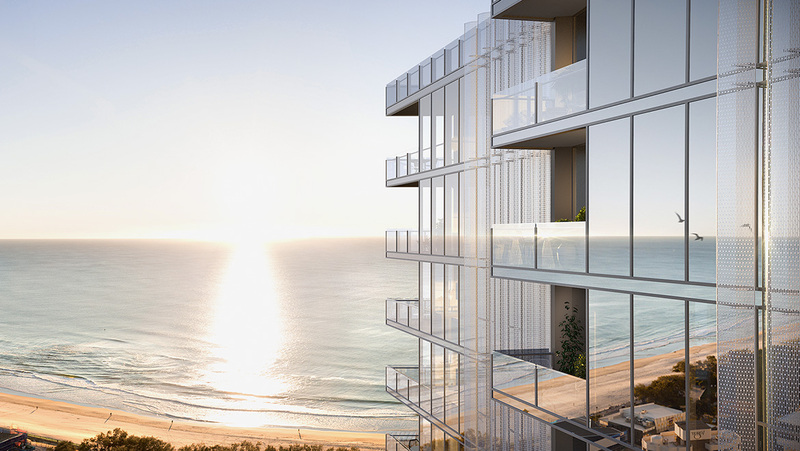 Boldly sophisticated, Signature brings an inspiring presence to the Broadbeach landscape. Intelligent design orients every apartment toward the ocean, bringing every resident true beachside living. A facade as striking as its surroundings. An outlook that cannot be replicated. Rothelowman has delivered a spectacular design solution affording each of the 263 residences within Signature its own personal ocean view. From the privacy of your home, a slice of the Broadbeach vista is yours to enjoy. At a stately 35 levels Signature stands tall and proud , the mirror-like façade reflecting its picturesque surroundings. Open corners broaden the ocean views, architecturally emphasizing the ease and enjoyment of the seaside lifestyle. Rothelowman is a market-leading , award-winning architecture , urban and interior design consultancy that specialises in major mixed-use , commercial , multi-residential , hospitality and retail projects. Since its establishment in 1991 , Rothelowman has been at the forefront of an innovative , design-led approach to the evolution of the modern Australian city.